Combine a polymer frame with a quality holster and belt and you can carry a full size pistol daily. April 14, 2015, a gang of teenagers attacked a man holding his three-month-old infant son. The attack occurred in the middle of the day at a gas station in Memphis, Tennessee. The man was beaten and bruised but he managed to shelter his infant with his body. August 26, 2014, an attack occurred on Ralph Weems IV while trying to eat at a restaurant in West Point, Mississippi. The assailants were a gang of black men screaming about “justice for Michael Brown.” Weems was beaten so severely that he was put into a coma and doctors fear he will have permanent brain damage. Many years ago my friend Walter Rauch (former Secret Service agent and one of the founders of IDPA) opined that American men like to “talk .45’s, shoot 9mm’s and carry .38s.” With the rampant popularity of the compact .380 pistol during the last decade, I would surmise that the last part of that statement could be modified slightly. Pocket Guns, a man’s got to know his limitations. A few years ago I attended an event put on by a friend at Gunsite training academy called “Pen lights and Pocket Guns.” For three days we used .380 ACP pocket guns and .38 Special snub-nosed five-shot revolvers as well as the small “Backup” light from SureFire. Basic range drills on paper silhouettes were a pretty standard affair; stand, aim, shoot. However, after the day one warm-ups we moved on to the live-fire shoot houses in the day time and then at night. On the third day we had to fight “the robot” (a remote controlled armored chassis with a cardboard or plastic target man on top). The shoot house required us to move around, use cover and engage multiple threats at varied distance. Engaging the robot was naturally a greater challenge as it could move and charge you very quickly and it was unpredictable. During the lowlight shoot house drills it was readily apparent that the point and shoot method offered by experts becomes a dicey operation, especially when the target at the end of the hallway is holding “your daughter” and trying to get away with her. Regardless of the target, small guns are tough to get good hits with under any type of realistic stress. Reloading a pocket .380 or even a .38 DA revolver under stress is quite the challenge, even for skilled shooters. Many of the participants found themselves with empty guns in hand as the robot kept charging after taking only marginal hits. The moral of the story is this: a pocket gun is better than no gun at all. However, if you are serious about coming out on top of a violent encounter, a full-sized gun is a more prudent choice. Frequently I hear excuses about how it is not practical or possible to carry a “big gun.” Men and women alike give themselves reasons to either not carry or carry something marginal. Again, A GUN is better than NO GUN, but let’s consider the two incidents mentioned above. Both situations involved multiple attackers mercilessly beating their victims. It was shear luck and good fortune that prevented the infant in story number 1 from life-threatening harm. In story number two the victim will likely live but carry the results of the attack for life. Put yourself in that position. Two, three, or more thugs decide that they are going to beat you to death. What would you rather have in your hands; a compact .380 that holds six shots or duty-size gun that hold 15 plus rounds? Are you willing to bet your life on the fact that the gang of thugs will be impressed by the .380 and run away? Do you think they will even notice as they are stomping you into the asphalt? The Springfiled M1911A1 TRP is a solid, straight shooting pistol. That gun weighs 42 ounces empty according to the manufacturer and holds eight rounds. The new TP9SA pistol from Century Arms weighs 26 ounces empty and holds 18 rounds of ammunition. Whether your bias has you hating or loving polymer guns, carrying one extra pound of pistol weight, or more practically, carrying around one less pound of weight makes a big difference. 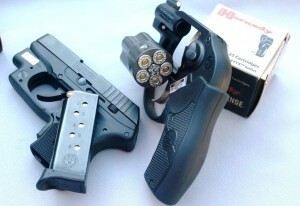 Solid steel guns are tough and the extra weight helps dampen felt recoil, but they pull down on your pants all day long. Flimsy, soft plastic or stitched nylon holsters are inexpensive and they help keep the dust off of your gun, but that is about it. Ever wonder why your gun is constantly shifting around as you carry it? The first item to consider is your holster. 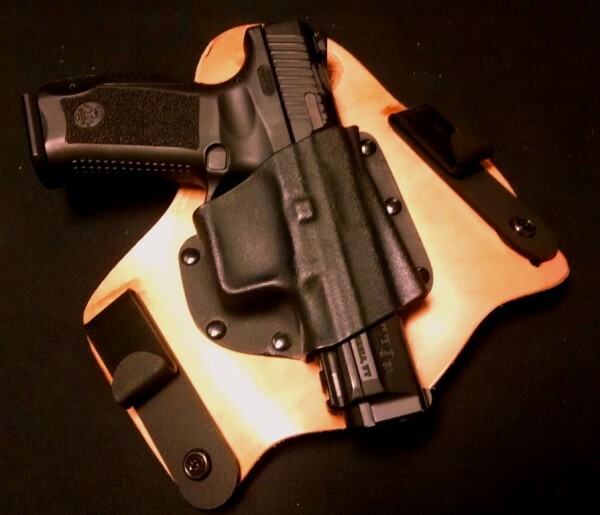 A quality holster should be rigid and built with high-quality stitching or riveting. If the weight of the gun is enough to pull or stretch the holster, throw it out and buy a good one. It is only your life we are talking about. Crappy holsters lead you to the bad habit of either not carrying your gun or taking it off all the time. Both are dangerous habits to develop. Get out a crowbar, pry open your wallet and purchase a quality belt from the same company you bought you holster from. If the holster company does not offer belts that is called a “clue.” Putting a fighting gun and a quality holster on a $5.oo Walmart belt is ridiculous and amateurish. Dress belts are not designed to support two pounds of gun, 12 hours a day. That belt will eventually break, most likely at an inopportune time. I was young and dumb once. I bought a saddle brown leather holster from Galco and thought I could get by with a leather dress belt of matching color. Wrong! I was working on protection assignment and somewhere around 2 a.m. the belt broke. Lesson learned on my part. One of the biggest excuses for not carrying a full sized pistol is the fear of “printing.” No, I do not expect you to carry a G17 in a swim suit. However, if you are wearing pants or shorts with belt loops you can get away with it with a bit of forethought. There are numerous companies producing light-weight button down shirts with tailored/hemmed shirt tails. Try the layer method. Put a T-shirt on over the holstered pistol and then don one of the aforementioned shirts. Ta da! you now have loose fitting layers over your full sized pistol and it will not print. If it is cool or cold, your jacket or sweatshirt will do nicely. As for cover garments, dark colors print less than light and patterns are good for masking the silhouette of your favorite blaster. Yes, it takes a bit of effort and thought, but it can be done. There you have it folks, four easy steps that you can follow. I apologize to the few of you whose excuses I just deflated. It is your life, do as you will. Hell, leave the gun on the dresser if that makes you feel comfortable. As for me, I will do my best not just to be an armed citizen, but a citizen armed with an effective tool. 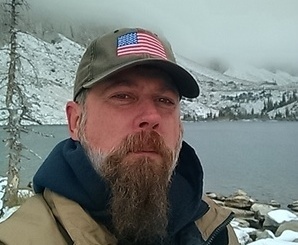 For more details and suggestions regarding gear selection, lawful use of force, and what to do AFTER a lethal force encounter you can pick up the ARMED LIVING DVD (just click the blue words).